Those born on 9,18,27 of any month are said to have number 9.
as per numerology rule number 9 people are of stubborn nature so they should try to have a number 3 partner as they can only handle these people well. They are not compatible with number 8. These people have a lot of difference of opinion. They should stay away from each other. These people like number 3,6 whilst being away from 8.
number 9 With 2 and 7: Based on Marriage numerology, number 2 and 7 are straightway different from number 9. It is advisable to avoid making life partner with birth number or life number 2 and 7, since this marriage seems to be ultimate failure. 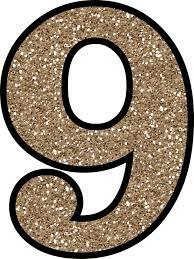 9 numerology With number 1: Number 9 people are authoritative and 1s are dominating. So, when a 1 starts to dominate 9, the sourness increases in the relationship. so its not good decision but not worst. With 8: Miseries, accidents and different other issues will find their way in your life, if you get married to number 8 persons. Saturn is the ruling planet of 8. number 9 person should avoid 8 for partner.